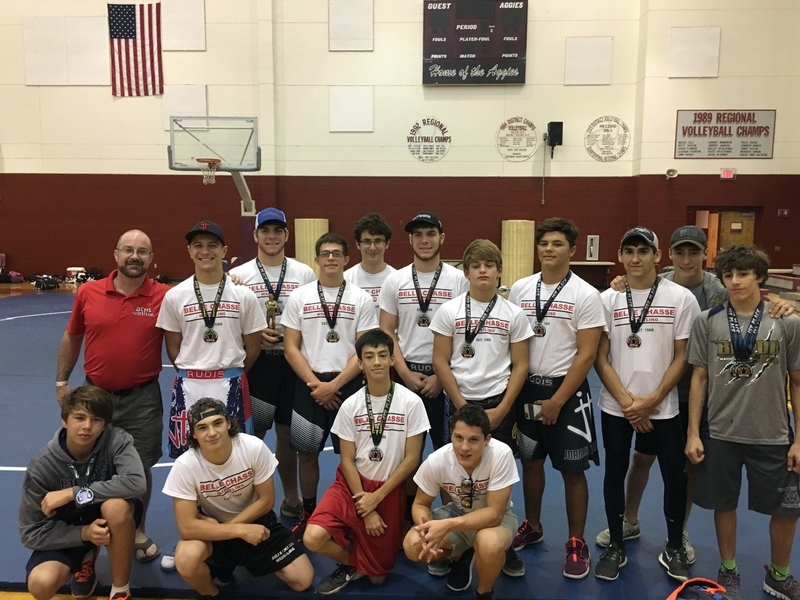 The Belle Chasse wrestling team has had a busy summer. After competing at the Jazz Town Duals in June, the Cardinals went to a one-day clinic by Olympic gold medalist Kendall Cross, hosted by Cyclone Jiu-Jitsu of Boutte, LA. In July a committed group of 11 wrestlers next traveled to the Midwest and the Gulf Coast to sharpen and test their skills. After spending a week at a team camp in rural Ohio, the Cardinals headed back down south to Tate High School in Cantonment, Florida, for the 2016 West Florida Open on July 30th. The Cardinals showed toughness and overall improvement from the hard work put in this summer. 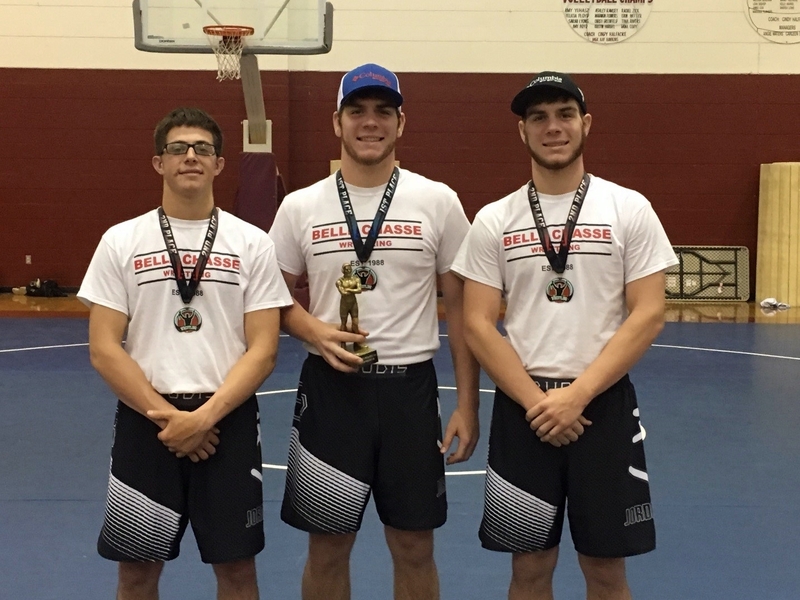 Brice Fisher and Zachary Edwards both placed 1st, with Edwards earning the Outstanding Wrestler award for upper weights. Kris Chopin and Josh Edwards both finished 2nd, Bryson Falcon and Bryce Arbourgh placed 3rd, and Naven Dabria and Anthony Berlinghoff earned 4th place finishes. Michael Lundin and Caden Mumme of Bayou Elite (Holy Cross-based club team) also competed at the West Florida Open and earned 1st and 3rd place, respectively.